Hi, I’m Annalise from Completely Delicious! I want to thank Carrian for having me over to talk brunch and motherhood. 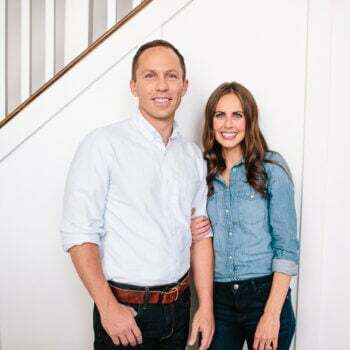 If I’ve learned anything from motherhood it’s that all that your wife or mother wants for Mother’s Day is to sleep in, some uninterrupted alone time with an activity she loves, and something yummy she didn’t have to make. Oh, and lots and lots of hugs. It’s not too much to ask, is it? 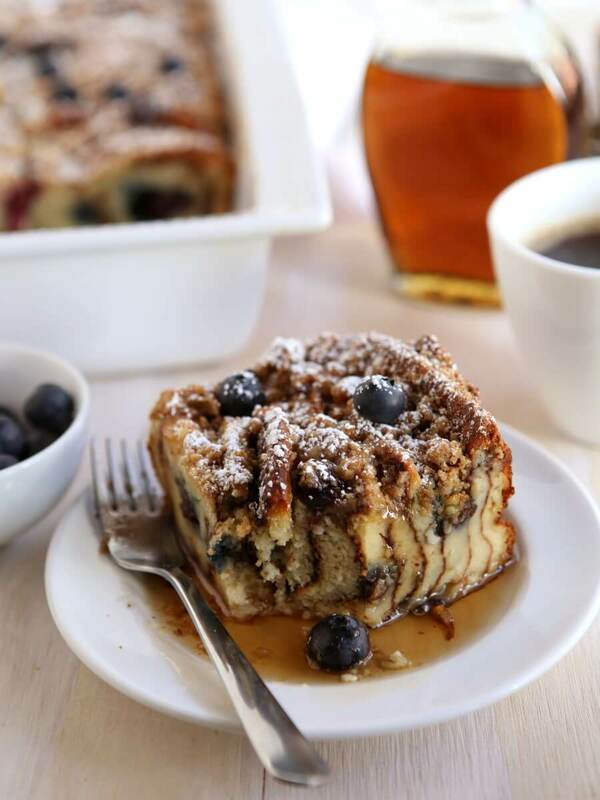 With this blueberry pancake bake you’re one step closer to winning points with mom. 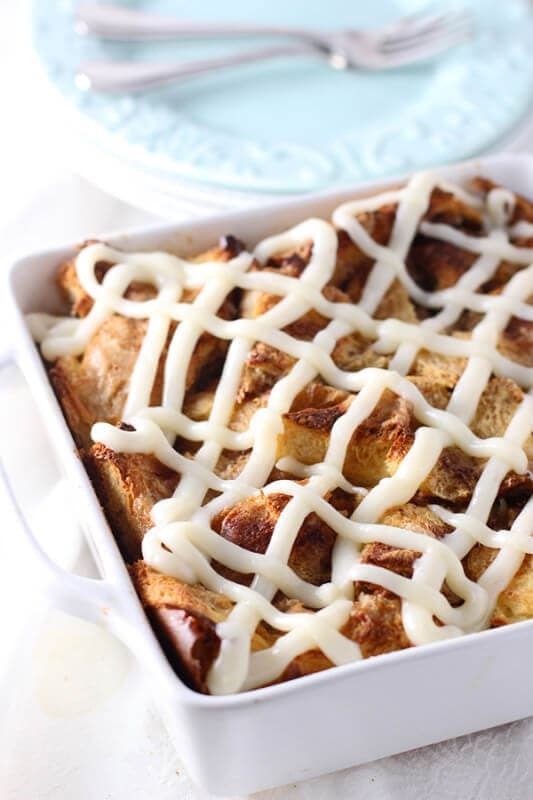 Move on over baked french toast, there’s a new sweet breakfast casserole in town! My son John just turned two years old and I am really enjoying being a Mom. I knew I’d love him, but I had no idea just how much fun we would have together. Sure, there are hard moments, hours, and days, but they are overshadowed by the pure joy that he brings to our lives. Motherhood is a wonderful gift, and one I wish every woman who wants to could enjoy. We struggled with getting pregnant, and finally holding my baby in my arms was a magical moment I’ll never forget. Being a mom has changed me in so many ways. I’m learning patience and flexibility, and gaining a new appreciation for my own parents and their love and sacrifice. On a lighter note, I’m also learning how awesome it is to spend my days in yoga pants. I’m still pretty new to this whole mom thing, but I’ve come to look forward to Mother’s Day. My boys always spoil me. My husband is not much of a cook, but one of the few things that he knows how to make are pancakes. And I know I can count on them two days a year— my birthday and Mother’s Day. 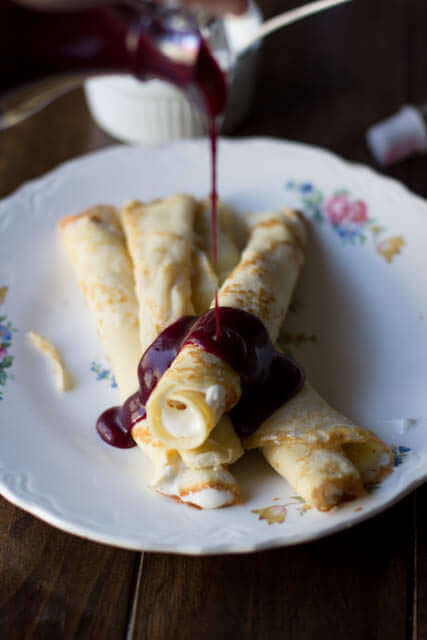 For this recipe I decided to take his pancakes and turn them into a brunch show-stopper. 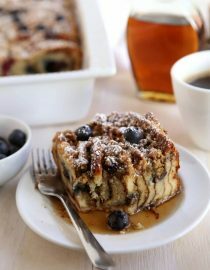 Layers of blueberry pancakes are covered with custard and more blueberries, and then a streusel topping before baking. 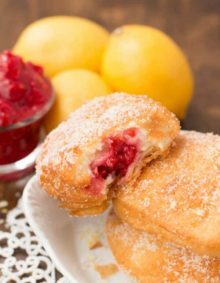 Add to that powdered sugar, maple syrup and even more blueberries, it’s a dish that mom and everyone is sure to go crazy for! A flat pancake could be the result of an overly-wet batter, try adding a little flour. Pancake batter should be thick enough that it won’t run off the spoon. 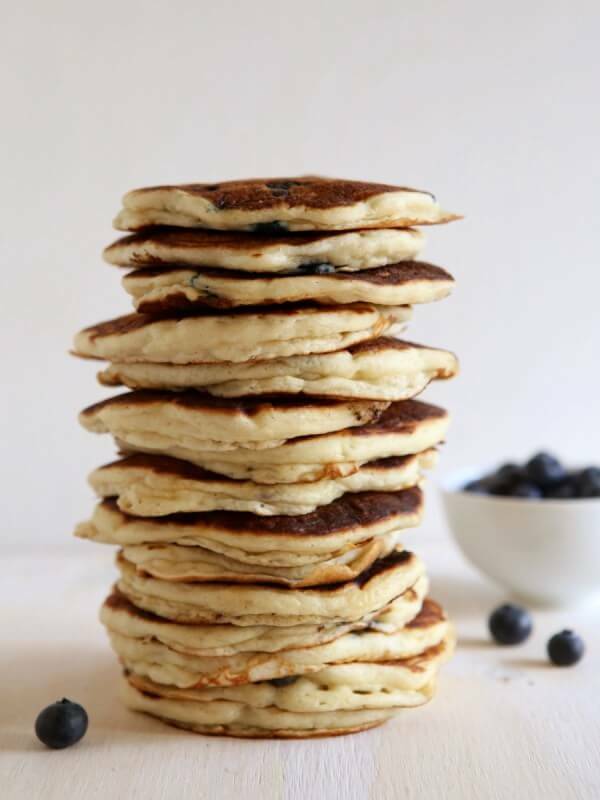 A good batter should have a few lumps left in it–don’t over mix or you will have flat pancakes. Another reason for flat pancakes could be baking powder that has gone bad. How Do You Reheat Pancakes? You can microwave them for 20 seconds a piece. You can toast a pancake in the toaster or toaster oven. Or, you can place pancakes in a single layer on a baking sheet, cover with foil and bake at 350 degrees for 10 minutes. Combine the flour, sugar, baking powder, baking soda, and salt in a bowl. In a separate bowl combine the buttermilk, butter, vanilla and eggs. Add to the dry ingredients and stir until almost smooth, it’s okay if a few lumps remain. Pour 1/4 cup of the batter onto the skillet. Pancakes can be made up to 3 days ahead, store in the fridge. Grease a 9×13-inch baking dish with cooking spray or butter. Place the pancakes in the baking dish, layering them up against each other almost vertically. It may be helpful to cut the pancakes in half and place cut-side down. In a large bowl, combine the eggs, milk, cream, sugar and vanilla. Pour over the pancakes, making sure they all are moistened. To make the topping, combine the flour, sugar, cinnamon and salt in a small bowl. 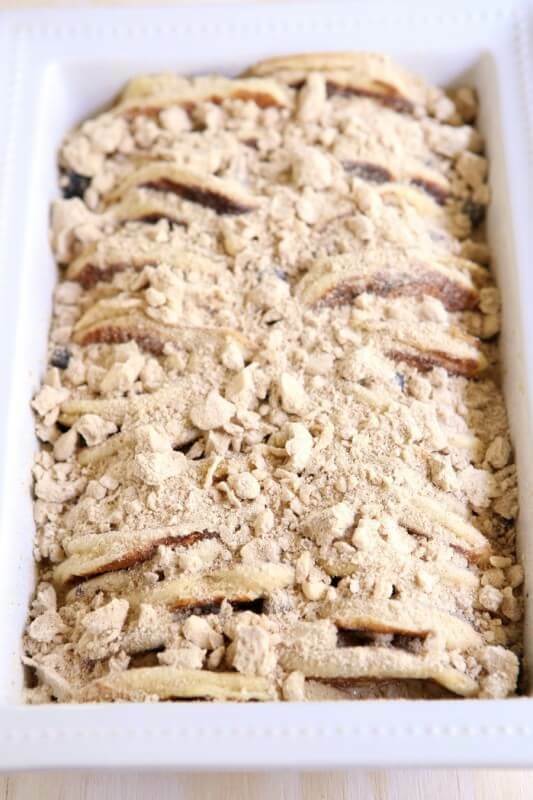 Cut the butter into the dry ingredients with a pastry blender or fork until the mixture looks like coarse sand. Chill in the fridge for at least 2 hours and up to overnight. When ready to bake, take out of the fridge and let it come to room temperature while oven preheats. Bake until golden and center is set, about 50-60 minutes. If the topping browns too quickly, cover with aluminum foil. Let cool for 15-30 minutes before serving to let it firm up. 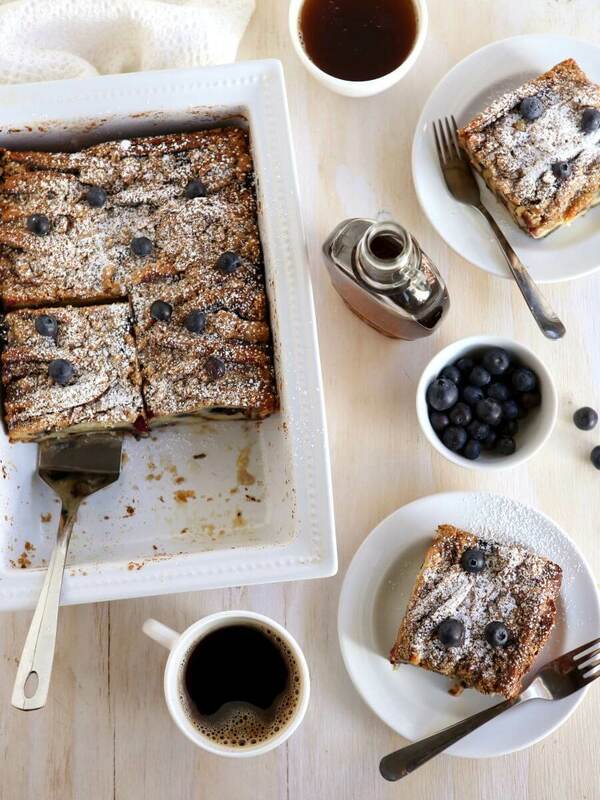 Serve with powdered sugar, maple syrup and more blueberries. 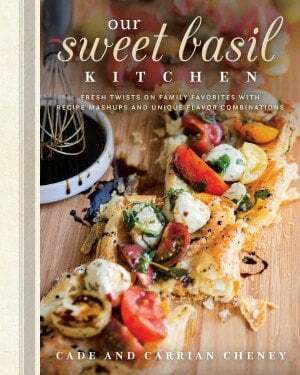 Recipe developed by Annalise Sandberg for Sweet Basil. 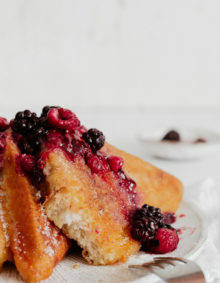 Find Annalise’s recipes and baking tips at CompletelyDelicious.com. You can also find her on Facebook, Twitter, Pinterest and Instagram. 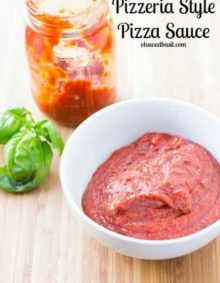 I know this recipe is from years ago, but I made it this weekend and it was a huge hit. So delicious. It was easy, because I was given a humongous stack of leftover pancakes from an event and had no idea what to do with them. Mixing up the custard and pouring it on top seemed like the best/easiest way to deal with a ton of pancakes. These were plain, so I loaded it up in between the pancakes with blueberries, with more on top. So good, even without syrup (that just makes it better). I’m so glad to hear that!! Thank you so much Samantha! Thank you for coming and checking them out! Do I absolutely have to chill this for two hours? Hello!!! Yours recipes looks delicious!! and very easy…Thank you!! I.m writing in my blog many healthy recipes, and spanis-recipes. A pleasure to meet you,I love your blog,really nice… I will follow and share. 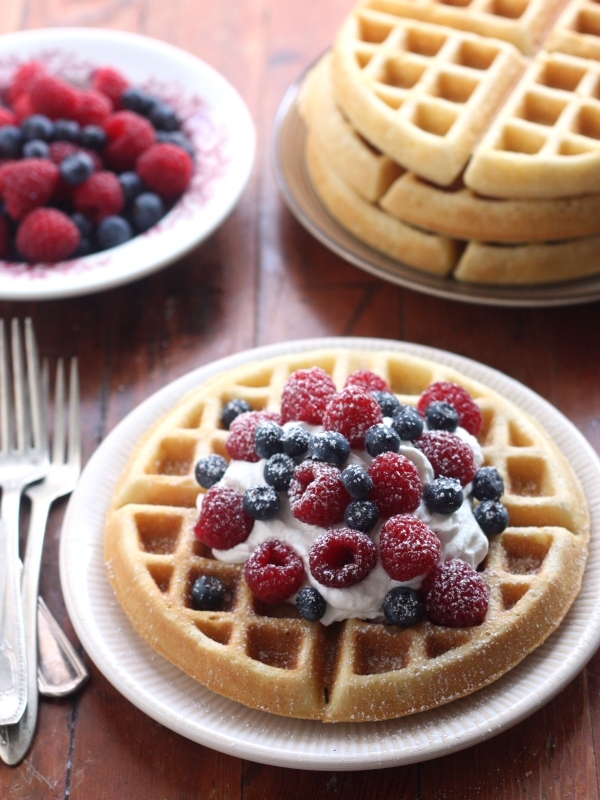 oh my, this looks like an amazing breakfast! I hope you enjoy it! Annalise makes amazing food! Just made this for mother’s day… SUCH a hit. Everyone loved it. I forgot to put out syrup, and it still went. We tasted the pancake on it’s own, and even that’s awesome. Thanks so much! hooray for a success!! Thank you for leaving a sweet comment to let us know! I’ve used coconut milk and almond milk in similar recipes and it was fine, but I’ll wait to hear what Annalise says about soy. Thanks for the question! Great job teaming up with Annalise on this one! It’s an absolutely stunning recipe and I hope she keeps rocking those yoga pants (because I recently discovered the joy of spending my day in them too–plus if you show up around town in them, the great thing is folks just assume you’ve been the gym, and not lounging around the house all day) 😉 Great thoughts and a great recipe–thanks for sharing, both of you! Thank you! She is truly so talented! I have never seen anything like this. It looks spectacular! I can’t wait to try it sometime. 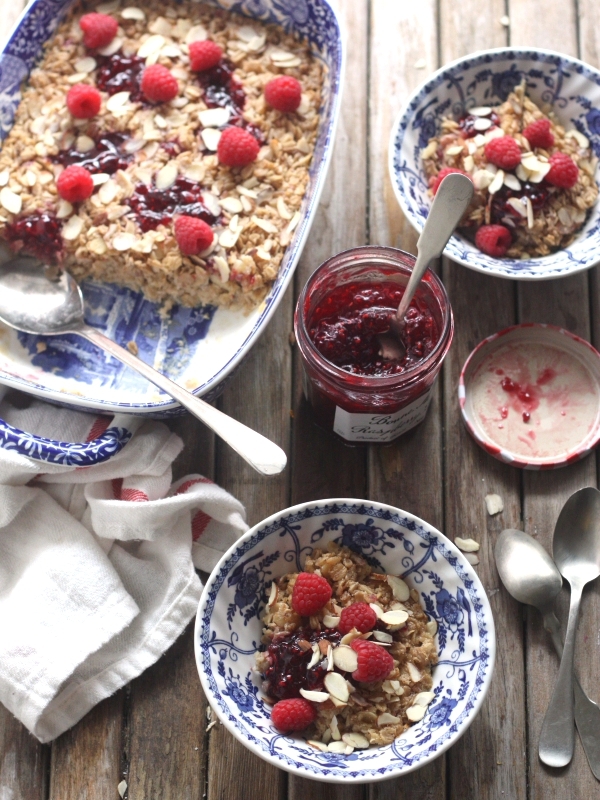 Thanks so much for sharing the recipe through Annalise! Oh my gosh, this looks so delicious! Pinned! doesn’t it? She is a master at baking! oh my goodness gracious. I made a pancake cake a while back (One Giant Pancake, basically.) I thought this would be similar but oh my gosh!!! This is amazing. We do baked french toast, why not bakes pancakes?? Yum. Pinned. Just when I thought I’d become the pancake master, you come along. This is incredible. I have three girls. The adventure you’re going to have the next 30 years with your kids? I can’t even begin to tell you. This bake looks incredible! And so perfect for Mother’s Day! Such a delicious idea. I’ve never seen a pancake bake before. Being a mom really is the best! And you’re one of the best moms I know. truly. Love this guest post from Annalise! 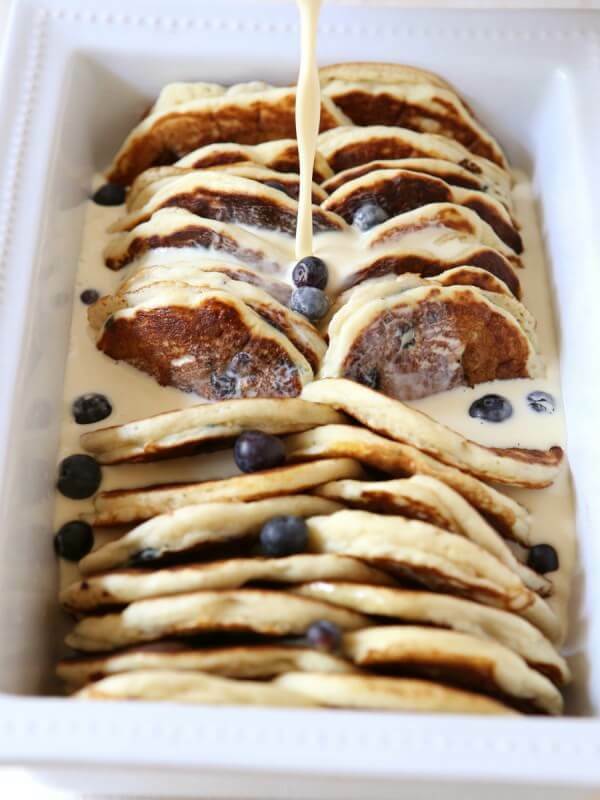 These pancakes look divine and I love her thoughts on motherhood and Mother’s Day!